Canterbury Tales is a BBC adaptation of a handful of Geoffrey Chaucer’s 14th century stories of the same name which are still set along the traditional Pilgrims’ route to Canterbury, but in the 21st century. The stories include themes such as love, adultery, jealousy and revenge. The six single dramas feature an all-star cast including Julie Walters (Mamma Mia!, Calendar Girls Billy Elliot), James Nesbitt (The Missing, Murphy’s Law, Cold Feet), Billie Piper (Doctor Who, Secret Diary of a Call Girl, Penny Dreadful), John Simm (Human Traffic, Life on Mars, The Village), Keeley Hawes (Death at a Funeral, The Bank Job, The Avengers) and Dennis Waterman (New Tricks, The Sweeney, Back in Business). Rochester is the principal setting for The Pardoner’s Tale with the castle, Cathedral, Chertsey Gate, the High Street, Esplanade and various streets, pubs and restaurants featuring. 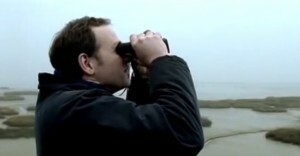 The river scenes in The Man of Laws’ Tale were filmed on the River Medway and The Medway Estuary. Gravesend is the setting in The Seacaptain’s Tale where old waterfront warehouses, the pier and Town Pier Square feature. Rochester is a historic city set on the River Medway offering a Medieval Cathedral and castle and cobbled streets with shops, pubs and restaurants. Rochester has previously featured in productions such as Jekyll and Hyde (2015), The Mystery of Edwin Drood (2012) and Great Expectations (1989). The River Medway starts in Sussex and runs through Tonbridge, Maidstone and Medway before flowing into the Thames Estuary near Sheerness. Stangate Creek is part of the River Medway and has been used as a film location by productions such as Mr Turner (2014), Great Expectations (2012) and The Long Memory (1953). On the south bank of the River Thames, Gravesend has a cast iron pier, promenade and high street as well as international links at the nearby Ebbsfleet International station. The area has previously been used as a film location in productions such as The Interceptor (2015), Don’t Tell the Bride (2013) and Age of Heroes (2011). The Canterbury Tales aired in 2003 and is now available for DVD purchase. 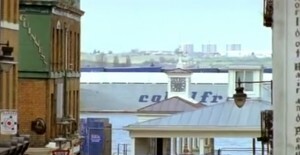 This entry was posted in Filmed in Kent and tagged Canterbury Tales film locations, Cathedral, Chertsey Gate, Geoffrey Chaucer, Gravesend, River Medway, Rochester Castle, Stangate Creek, the High Street and Esplanade, TV Drama. Bookmark the permalink.